Cate Le Bon will release her fifth studio album later this spring. 'Reward' will arrive on May 24 through Mexican Summer and follow up 2016's 'Crab Day' LP and 2017's '‘Rock Pool’ EP. Since then the Welsh psych-pop artist released the sophomore Drinks album with Tim Presley in 2018. The new LP was recorded between the US and UK and features an impressive line up of contributors, including Warpaint's Stella Mozgawa, H.Hawkline and Josh Klinghoffer. Head below to check out the artwork, tracklist and first single, Daylight Matters. It's an intricately composed indie-pop number, but manages to maintain a lo-fi feel, which allows Le Bon's delicate and heartfelt vocals to remain the focus. Le Bon will tour extensively to support the new album. She's lined up headline shows and festival sets throughout North America, Europe and the UK. Tickets for her newly announced August UK shows go on sale at 10am on March 22. 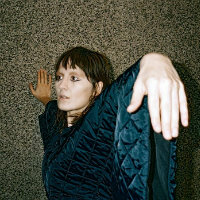 Click here to compare & buy Cate Le Bon Tickets at Stereoboard.com. Cate Le Bon has announced details of a new EP. Cate Le Bon has announced plans to tour the UK this Christmas. Cate Le Bon has lined up a shows in Belfast and Dublin this autumn.